In our line of work that revolves around Integrative and Lifestyle Medicine and Holistic Nutrition, we use, study and recommended a plethora of products and food items like organic fruits and vegetables, super foods, spices, nuts and seeds, oils, utensils, floor cleaners, cosmetics, apps, fitness gadgets, healthy restaurants etc every single day. Even as we travel across states and countries, we come across great products of different categories that can promote holistic health. Since we firmly believe in the fact that “food is medicine” and that the nature has provided us with everything we need to sustain, its became our vision to create a platform where we explore and recommend various products right from floor cleaners to flours, salt, toothpastes, food items , clothing, etc that are clean, safe, honest, authentic and far from all the chemical overload. This was important because often people get confused about the right kind of product to buy. Also products of our day-to-day use can impact our health and immunity in a big way and immunity is the first and last line of defense. 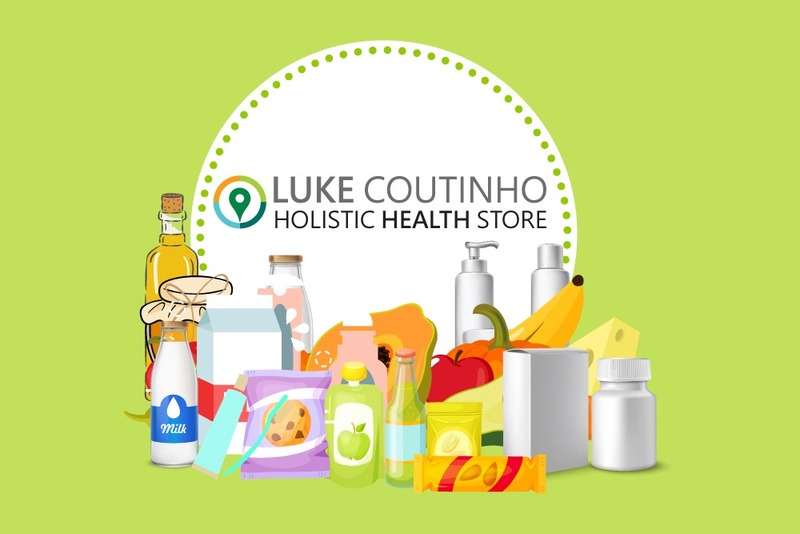 Thus our quest for looking out, identifying and welcoming brands which are in alignment with our vision began and we finally created the Holistic Health Store. Our vision and intention to create a Holistic Health Store is simple. It’s a safe space for every human being who is on a lookout for a particular product that can benefit their health. Its a platform where we based on our experience and knowledge , share recommendations and reviews of those products that we feel contribute towards holistic health and living in terms of their health benefits, nutritional value, bioavailability, quality of the product as well as the packaging, usability, authenticity , etc. It could either be a spice or a yoga mat, as long as it meets the requirements of building holistic health and quality standards, we would like to place it on the store for the benefit of all. Our idea is to bring together all things healthy under one roof, that we either recommend to our patients, friends, family, use ourselves or come across during our travel. The store will be as diverse as possible, so we shall enlist everything right from kitchen essentials, foods & snacks, baby care products, cosmetics, home decor, hygiene care, supplements, restaurants and possibly everything that contributes to holistic health. Our dream behind building this store is that anything and everything you need to live a healthy life should eventually be found on this page, so people can come to one destination and decide what they need. We openly welcome brands that support fair trade, sustainable organic farming, zero waste products and in future would like to list every possible fair trade product that meets quality standards and which impact health, immunity , wellness and lifestyle in a positive way across India and other countries. If you navigate the store , you would see that for most categories, we have listed multiple options which may differ in price or packaging, without compromise on quality. At the same time this in no way means we use all of them or endorse them. Our intention is purely to study the goodness and worth in each product from all angles to the best of our ability and finally “SHARE” with everyone who lands onto the store so as to cultivate holistic health and holistic living . The moment we come across a product, we as a team put in the effort to carefully study the product to the best of our ability, in terms of ingredient, certifications, reading nutritional labels, background of the brands and assessing overall quality including packaging and finally place it on the store if it meets all criteria. We started with a couple of products and members and have now reached close to 300+ products and 20K + members and this shall continue to grow in our day to day practice and during our travels (India & internationally). Ever since the store has come into existence, we also realised that it has created a closely knit community of people who are on the same page when it comes to choosing the best products that add value to their health. This in turn, not only gives vendors a ready market of like-minded people , but also helps them communicate their thoughts and intentions effectively to the consumers. Having said all of that, the store shall undergo revision whenever we come across a better product as compared to its counterparts. So this is going to be a very dynamic store that only has a place for products that hold true to what they claim. In a way , survival of the fittest product . Disclaimer : The Holistic Health Store is purely a recommendation page and doesn’t mean any collaboration or endorsement of any brand. It is just meant for sharing products that we as a team have come across so far in the field of holistic health. This in no way is a medical advice for anyone at any time. We have no tie ups with companies for delivery etc and there is no middle man .